It's only in recent years that Nintendo's embraced connectivity and unified platforms in a meaningful way. Though it dabbled with extensions, add-ons and cables in past pre-broadband generations, the Game Boy range and home consoles retained distinct identities from each other. That's continued a great deal in this generation with the Wii U and 3DS, but the big N has been gradually upgrading its online functionality and realising that sustaining separate portable and home console product lines is an expensive and onerous task. It began a good few years ago when former President Satoru Iwata confirmed that, as part of a major restructure that would also include a new HQ in Kyoto, the handheld and home console teams would be merging. It was this move that sowed the seeds of predictions that Nintendo would break down the boundaries between the two areas in its hardware, and drives the sense that NX could be a platform that accommodates both elements. Time will tell, but it's been a key Nintendo strategy since the Wii U launched to make its portable and home hardware closer siblings, sharing infrastructure and operating systems. The logic for this in the current day is obvious. Nintendo has established itself as having its own bubble within the games industry, not delivering the same hardware and games that are seen on Sony and Microsoft systems. It's become a company of exclusives and unique hardware, producing a high volume of content itself while also forming distinct partnerships with certain third-parties; there's also been a focus, through the eShop stores, in fostering relationships with smaller 'Indie' developers. With so much of the load on Nintendo to produce content, having to work across two distinct systems is a serious split of limited resources. We have, it should be noted, seen some integration in this generation. The New Nintendo 3DS, particularly due to its C-Stick and built-in amiibo scanning, has all of the key features seen in the Wii U GamePad. We've seen a Wii port showing off the upgraded portable in Xenoblade Chronicles 3D, and the most obvious crossover was with Super Smash Bros. Though modes vary across the 3DS and Wii U versions, the core content (and amiibo functionality) is impressively unified, right down to the point that a 3DS can be used as a controller for the home console version. We also have the recent example of Hyrule Warriors Legends, a port of the Wii U original that will also support a cross-platform season pass. Add to this the sharing of a Nintendo Network ID and Miiverse across Wii U and 3DS, and Nintendo has made strides in unifying its platforms, and impressive ones considering the disparity in capabilities between the two. With My Nintendo (via the new Nintendo Account) around the corner, however, we're heading into a potentially exciting new era, and one that pleasingly includes the latter days of this generation. The new loyalty programme and account system is a further evolution of the NNID, incorporating purchases and activity across Wii U, 3DS, mobile and websites, all communicating with each other efficiently and without pesky surveys. While we await details on the rewards in the West ahead of the launch of My Nintendo and Miitomo on 31st March, we already know from the Japanese programme how Platinum rewards focus on activities across the social app, the eShop and Miiverse. Add to that incentive to connect social media accounts, and we can see that Nintendo is embracing (at last) the idea of engaging with the broader world to be found on the internet. Having previously operated in a walled garden while competitors loosened up, Nintendo is offering more gateways to its platform, albeit not bulldozing the walls in full. The service is far more dynamic than its predecessors too - some rewards and discounts will be catered to an individual's buying habits or to celebrate their birthday, and future plans include 'sign-in' bonuses for those visiting or participating in specific events in the real world. There's the potential for concepts like StreetPass, SpotPass and general connectivity to be greatly enhanced, crossing the boundaries of dedicated Nintendo systems to reach our phones, tablets, PCs and Macs. 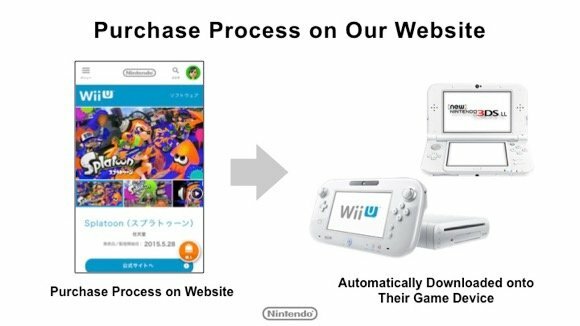 On top of that we have the long-promised overhaul in Nintendo's eShop selling via web browsers. It's not a new idea, and Nintendo of America has offered the service on major releases for some time, but the global roll-out of improved online stores is more than welcome. The scale of it is the most pleasing aspect, as over 2000 games will be available to buy online via the web store, and using the NNID and Nintendo Account purchases will download automatically to hardware. By including the full libraries (or so it seems) of the 3DS and Wii U stores Nintendo is stepping up its offerings of download content. All of this helps brings platforms together, and importantly offers greater convenience for all of us. Whether picking up My Nintendo coins through regular activity or browsing the eShop while out and about, it all points to a far more integrated future. Last year we reported how Nintendo had dropped out of Interbrand's "Best Global Brands" Top 100. Interbrand spoke about the importance of "mecosystems", saying the focus for companies is to "create customized experiences around a single individual, where every brand in consideration slots in seamlessly". Nintendo isn't there yet, but its updated account system is a strong step in the right direction. All of this will continue to improve in months to come, of course, not just through Nintendo's NX generation but also with the arrival of more Mobile apps. The fact that Wii U and 3DS are included at this stage is a bonus, however - it points to the ongoing importance of the eShop as a brand, and gives a little hope that the Wii U and particularly 3DS have a role to play for a while yet. This applies to a future as budget hardware, but hopefully some backward compatibility on hardware to come - only time and facts will determine that outcome. 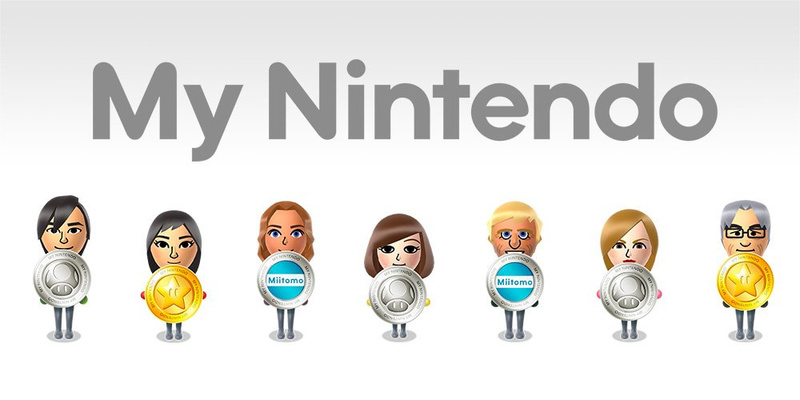 In any case, we're rather excited about the Western arrival of the My Nintendo loyalty programme and, yes, Miitomo. We don't expect either to be perfect on day one, but both represent another small but steady step forward into a fully integrated and connected Nintendo future. Let's see what happens. Hopefully it ends up being something great. Lots of customer-friendly improvements can be made in this area of their business. The ball is in the company's court. Really hope the NX is a system that feels "modern," everything from the UI to Miiverse to the Eshop just feels archaic in a way. Nothing is tied to your account (despite claims that it is when its actually tied to an account which is tied to your system) and it really feels like Nintendo just wants to control everything you do. From being unable to communicate with friends online outside of a select few games (even then its mitigated to just lobbies which is worthless) or having to buy an entire game to get a few extra characters (hyrule warriors legends) to even having to pay full price for a game you already own as there isn't a cross buy feature (which has been a staple on sony's platform for awhile) it just seems Nintendo refuses to adapt to the times. Nintendo used to be cutting edge but since the Wii they've been woefully behind. I really hope they get the NX right, they need to honestly, because it's their last shot for me to view them as a major player in the console industry. @Harmunt Basically - Yes! - It seems it will all stem from your existing Nintendo ID. . . . . . The biggest revelation for me will be cloud saves with My Account. My biggest fear is having a hard drive fail. Sure, you can download games again but saves would be lost forever. It has always been tied to your NNID account. Thing is, your NNID is tied to one home console or/and one handheld console at a time until you transfer to another hardware or until Nintendo allows you to link it to another hardware (without system transfer). Any hour now this will "confirm" the "NX is a hybrid" amongst forum people. The only thing I don't understand is the need of a new account system, why isn't NNID being used instead of Nintendo Account? The new functionality (including cloud saves, purchases via websites and My Nintendo) could be added to Nintendo Network. Nintendo has taken a great first step and are slowly modernising. It's about time they've got their account system sorted, and I'll be sure to check it out on the 31st March. The things I'd still love to see added are games being tied to an account instead of the console, earning gold coins from physical purchases and an optional achievements system. For marketing perspective, it's better if they go with a new name for "new features". Have they kept the old one, it'll be difficult to communicate what's new and what's the difference from the old one. @superpjimbo21 The offer ends at midnight (I think! ), so yes you should be able to take advantage of the offer after My Nintendo has launched on that day. @Harmunt Probably not on existing consoles unfortunately. But it looks like they are moving in that direction for the next gen. I brought up that issue when I first purchased my Wii U and realized that all the software I once owned on Wii was vapor in the eyes of Nintendo. The rep apologized that the system was designed (and coded) to register the game to the system and not the user. So although they could see I purchased the games, the games belonged the Wii that had been wiped and sold. It was/is very frustrating and it still angers me that while I technically own Final Fantasy: II, III, My life as King (plus DLC), After Years (plus DLC), and countless other Wii Virtual Console/Wiiware titles but am denied access to them. Still no cross-buy so it's just MARKETING. More ways to pay, that's it. They are not fooling me. Will any of this make a difference if purchases are still linked to the console and not your account? I agree with a lot of your post. Nintendo definitely is due for a modern overhaul- this seems like a good step towards that. But it's important to keep in mind that Sony does not offer unfettered crossbuy this generation, where you can buy any game and get on multiple systems. For one, all their PSone and PSP games on Vita are not offered on PS4, and their PS2 games on PS4 are not offered on Vita. And their releases are mostly now constrained to PS4 only. So ya I agree, it would be good to see some consistent offers of a crossbuy system, but as it stands the only games really benefitting from Sony crossbuy now this gen are indies. There were a few exceptions before the Vita fell off the map, like GoW HD, or the "Buy Minecraft on Vita get it for $5 on PS4" but most of that is gone now. As a PS4/Vita owner I can attest to the fact less than 10% of games I buy are crossbuy. I just think people who don't own both PS4/Vita think it's better than it really is sometimes. Like what you say about Hyrule Warriors- it wa no different for me buying Final Fantasy X on both systems with no crossbuy. Still, anything is better than nothing. The amount of people that don't know your purchases are tied to your account is incredible. I know there were issues at the beginning of the Wii U but they have been cleared up now. It doesn't work exactly like Microsoft and Sony, but it is a lot better than it was. But I guess that is what happens when most media outlets ignore a system, the updates get ignored and news stops reaching users. True, but I think that problem also persists because Nintendo has not really clarified. We ha to find out through user reports. If they had just come out and made a statement there would be a lot less confusion. @JaxonH We will see what happens. I totally understand the reason of not having accounts as open and flexible as Microsoft or Sony. I know some people that are able to purchase some games, download then and play them on two consoles, with different accounts. But it is extremely easy for customers to use and is basically zero headache when trying to upgrade or get a special version system. Please, Nintendo! MAKE CROSSBUY HAPPEN! Nintendo has never been cutting edge. Except maybe in the beginning, when they released the NES. In all other generations there were superior devices on the market, from a technical point of view. I think a good compromise for crossbuy would be to offer a significant discount on future buys of the same game. So, for a Virtual Console game, you'd buy it for, say, the 3DS, for $5. Then, if you ever want to download it to a new system, you'd only have to pay, say, $1 or $2. That way, Nintendo still gets money for making ports, and more people can afford to get games for multiple platforms. And it wouldn't have to be tied to Virtual Console, although that would be a good place to start. Crossbuy is not happening on Wii U/3DS. NX, possibly. I'm so deep into the Xbox Live ecosystem, I just don't see the point starting up with Nintendo now. It's a situation where it's too little too late for me. I'll be watching to see if they integrate an account system, if Wii U purchases transfer over to NX, and if actual deals ever pop up. I'm concerned about how non-family-friendly this may turn out to be. I'm not allowed to create My Nintendo accounts for my kids. I get an error saying they don't meet the minimum age. This means my kids won't be able to take advantage of any of of the cloud save functionality, etc. Also, when it comes to unifying purchases, this means I'm never going to be establish the concept of a "family" which means any digital purchase I make under my account will never be able to be shared with my kids. This is the main reason I'm forced to buy physical 3DS games because it's the only way I can share them with my kids (who have their own 3DS consoles). Nintendo has never been cutting edge. Never. The NES already had old technology compared to other consoles, computers and arcade boards. N64 was based in SGI computers created in 1992 and even scaled down to be less expensive. The gamecube and wii had scaled-down architectures based on Power pC Macintoshs of the mid-to-late 1990s. Nintendo is a gaming company. Not a tech company. They need to catch up in many ways (mostly with compatible tools and APIs) but they wont make a high-end tech $500 dls console that made them lose money, specially after the disastrous Wii U sales. It's funny how N64kids hate for the Wii makes them distort reality. So WHY can we not use the clothes that we get in Miitomo with our miis on our consoles? Ridiculous I tell you! RIDICULOUS! @jimi Mutant Mudds Super Challenge and Tipping Stars are the only titles I can think off that are crossbuy. I just wish crossbuy was available for VC titles; that would make things a lot smoother on the eshop between systems. @LegendOfPokemon Olli Olli was actual cross-buy Mutant Mudds Super Challenge and Tipping Stars gave you a code for the other system. @DefHalan dude we still have to call Nintendo and ask their permission to transfer software to a new console. It's archaic and so out of touch. I can't believe there is still some Nintendo fans who sit and defend their policies. If I replace a broken or lost console I shouldn't need a damn police report to download software which I have paid for. Imagine every time you bought a new phone you had to call up Google or apple as ask for permission to download software which you already own. Google, Apple, Sony and MS know that Nintendo's method is madness . Regarding cross buy, yes Nintendo have to offer more promotions. Making people buy SNES games twice is insulting and then charging more on the 3DS is a kick in the teeth. Plus Nintendo need to move with the times and offer cross save on titles. They've launched cutting edge consoles in the past. What was more powerful than the NES in 1983? The SNES was at least as powerful as the competition in 1990 and the N64 was the most powerful console in 1996. GameCube beat XBox to market making that the most powerful machine around of only for a couple of months. Even Wii U-what was the most powerful console in November 2012? Even without them keeping up in terms of tech, there's no excuse for falling behind in terms of service and customer experience the way they have. @kobashi100 from what I have heard you don't need a police report. That was from their older policy. You aren't asking for premission to get your content, you are getting your content transfered to a new console. I am not defending them either. I am just saying how it is now. Honestly it is a really smart idea to combine both the handheld and console teams into one big supergroup. Looking at the Wii U and 3DS it is kind of silly to think of how different the architecture of the systems are from one another and I have no doubt that this has affected the development times of the games being put out on them. With the NX potentially being a hybrid those problems would be removed, which means more games for both console owners and handheld gamers alike though this is of course assuming that the rumors are true but even if they aren't I expect development for their future systems to be quite a bit easier, which can only be a good thing for us. @JpGamerGuy90 I'd argue they've been behind the times since the N64, what with their reliance on carts when discs were becoming the norm, and then mini-discs for the Gamecube, and then "We can't release ANYTHING without some sort of gimmick behind it." This is the internet. People are rarely happy. @Harmunt It has been known for over a year now. If you have a Wii U, and have loads of games on it, and it goes wrong. All IS NOT lost. 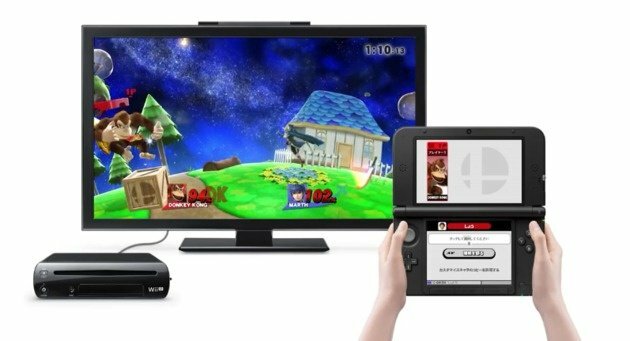 A simple call to Nintendo, and they will simply transfer all the software to your new Wii U, f you decided to buy one of course. My Wii U developed a problem some time ago. I got another system, called Nintendo, gave them the new Serial Number, plus my NNID, and all was good. I was able to re-download everything again. @Minotaurgamer By your logic, Sony and Microsoft have never been cutting edge either. Both use C'PU's that are over 2 yers old, when the consoles released. And both used AMD GPU's, again, that were over 18 months old. As was posted on this very site, and a few others a couple of months ago. Square Enix Tweeted,' What we have been able to do with early Dev kis, can only be done with immense power and the latest CUTTING EDGE technology'. Lastly, a spokes woman for AMD, came out and said, 'It is the biggest GPGPU we have ever built for a home console, and has been customised to Nintendo's exacting standards'. @dres Hmmmm, that is where I digress. Both Xbox 360 and PS3 were exponentialy more powerful than the original Wii. However, tbe Wii walked all over them in terms of sales. Let me guess.....'Oh, the Wii was just a lucky hit at the time'. Was it? Or was it Nintendo being innovative? Both Sony and Microsft tried, and failed miserabley to copy the idea. Even the head of Sony stated a few months ago, 'The gaming industry NEEDS Nintendo, not only for its fantastic 1st party games, but also because of their innovation'. As for their customer service, they are very friendly and courteous as to getting you where you want to be...I'll give them that much. You can't even call Sony anymore, you chat using the internet, which can make it hard in certain areas (like living in the middle of nowhere with low-internet). Sony representatives are kind of rude at times too. Nintendo's customer service reps are very courteous, which is what it should be, but I'm not defending the way nintendo does business. As for the cross-buy items, it's not every game on Sony or Microsoft that features this, and their own games (PSone and PS2) are not cross-buy. I like Sony too, but no console offers it fully, so nintendo shouldn't be put down for this...plus, they did do the feature that if you have the Wii download on your Wii U, you got the Wii U virtual game for a discount...which wasn't too bad. All three of the companies need to work on this a little better. I have two PS4's, but my games are tied to just one system. PS3, as I have two, are not tied...so what happened there and why did Sony do the PS4 a little different??? More money!!! When it all comes down to everything, it's all having to do with money and making more money! That's all any company wants! @akaDv8R And if nintendo went third party, could you imagine how much those other companies would pay for their IP's. Nintendo's a great company that brought so much to the table. Many people don't even realize the risk they took with the NES, as Atari killed the game market. NES was to be a huge flop on day one (as being stated by various people in that time period). It turned out to be a huge success and brought the gaming world back to home consoles. Nintendo never gets recognized for this, instead, they always get put down for small mistakes that other companies have made too, it's just a 'put-down-nintendo-for-everything' period! Nintendo may not lead the pack, but what they've done is very nice with their UI and the eShop, which has to be the best digital storefront around. I find my PS3 awful to interface with and the PlayStation Store is so slow and clunky I'm amazed they still release updates without actually improving anything. I expect Nintendo's web-based shopfront to be best of breed as well. Like DefHalen and others I don't know why people still think their purchases aren't linked to their accounts. Even on the Wii you could have a Club Nintendo account linked which could be used by Nintendo to transfer purchases. The Wii U has a transfer tool and so does the 3DS to enable a system swap. Obviously if your machine gets stolen/broken you'll have an issue that you need to go back to Nintendo for, but that's not really that extreme a problem compared to the reason you have to contact them, is it? I know the games are tied to your NNID account, the problem is when you sell one of the systems and then down the road get another one or it breaks and you call Nintendo to do the swap it sometimes can take up to a week which is unacceptable. And if you sold your 3DS lets say a year ago and now want another one but never wrote down your serial number you can no longer use that same NNID with your new 3DS which is the position I find myself in now, 2 different NNID's for my Wii U and 3DS. Until Nintendo allows users to redownload previously purchased software via cross-buy, I don't care what snake oil they smear on their marketing jargon: it's not a REAL account system. And for goodness' sake, stop being Internet nannies and let us friend other users and message them, for crying out loud. They're always trying to "save the children" when a lot of the trash they find themselves censoring comes from... children - go figure. I can maaaaybe see them getting the account system right (big maybe)... But I already know the friending/messaging thing is a pipe dream where they'll either halfway do it (to where it's basically worthless) or they just won't do it at all. Hopefully this'll allow me to buy games without seeing the 'You don't have enough storage - go away!' message. I know I don't have enough storage, but I want to take advantage of a sweet deal. I'll clear space later, Nintendo. Stop bothering me! @D33K0 Since all saves are on your flash drive or harddrive, you can just copy paste the whole thing to your PC or google drive once a week. I hope that with this new e-shop we can finally select the system(s) we have so those of us who don't have 3DS are not forced to see new 3DS software on the eshop. Also, hopefully having things tied to the NNID will make it easier to move software to the NX whenever that is released. "Both Xbox 360 and PS3 were exponentialy more powerful than the original Wii." That is what I referred to, when i wrote "Cutting Edge". From a purely technical or "Raw Power" point of view, Nintendo has never been "Cutting Edge". But Nintendo have been the most innovative, when it comes to reusing old cheap hardware, and use them in exiting new ways. That has always been Nintendo's strength. That is how they always made fantastic consoles. And by the way. I loved the Wii, and think it was a fantastic console. It outsold PS3 and xbox360, because it had the most exiting concept. Looking forward to My Nintendo being released, not looking forward to having to play Miitomo for Plat Points. @Slim1999 Just because you had success doesn't make my experience invalid, nor does it change the way that their systems are designed. The DRM is designed to be tied to the system, not the user. You managed to get a tech that relicensed the games to your new console. As long as they release many more games that have not been released to vc yet in NA and many more games that have never seen a release, then I will be happy. @SuperC142 That's a really good point - you have to be 13 to use the new system. I think that's due to the social network aspects and perhaps is written in law. However, it is a real issue. The only way out would be to create accounts lying about age. Surely it should be easy enough for Nintendo to find a workaround whatever issue is preventing under 13s from having access? Why not have sub accounts based on NNID for children attached to a parental Nintendo Account? Apologies if this had been asked already but does anyone know if more than one NNID can be linked to the same My Nintendo account? My Wii U and my son's 2DS have the same NNID but then I have a different NNID for my N3DS and another NNID for my daughters 2DS. It would be great to have just the one My Nintendo account for all our systems and ID's.